Feeling worried and anxious about money all the time? Learn what to do for you and your family when you’re stressed about financial problems. Before I had kids, I was able to save half my income. I lived frugally and didn’t need much to keep me happy. I even got a kick to see how much I can save every month. It’s hard not to stress about money when you have kids. You’ve got big-ticket items like childcare, education and housing. You have smaller things that add up—food, entertainment, clothes. And many of your financial decisions are likely based on your children. So you look at your tight budget and wonder how you’ll ever pull it off. You lose patience with your family. You even resent those who seem to have no money problems, or those who earn more than you. I’m a (reformed) big-time worrier. I kid you not, back in college, I had a melt down because I lost my student ID. As in, cried and tore my dorm room apart, because I imagined the worst. It’s funny (pathetic?) thinking about it now, but I know how worries can consume our mind. Write your worry. Bonus points if you dedicate a notebook for just your worries. Our right brains go haywire when we’re consumed with emotions. So our left brains reassure us by restoring order to the chaos. The best way to do that is to label and identify your money worries. Describe the worst-case scenario. So, your mind is going crazy with thoughts of The Horrible Things that will happen. Before you let it get out of hand, write exactly what these worst-case scenarios are. Start with “realistic” worst-case scenarios. Then write the absolute worst of the worst. You’re facing your fears head on when you write the worst scenarios you can imagine. Make a list of things you can do. Once you’ve identified your worries and imagined the worst outcome, make a list of things you can do. Start with a big picture of what you can do, then ask yourself, “How?” Keep whittling those plans and asking “how?” until you get to the one thing you can do right now. For those you can’t do until later, schedule them in your calendar (I use an Erin Condren Life Planner) for when you can finally get to them. Worrying can be useless because there’s nothing we can do about it now or any time soon. This exercise identifies those you can do something about and ignore those you can’t. 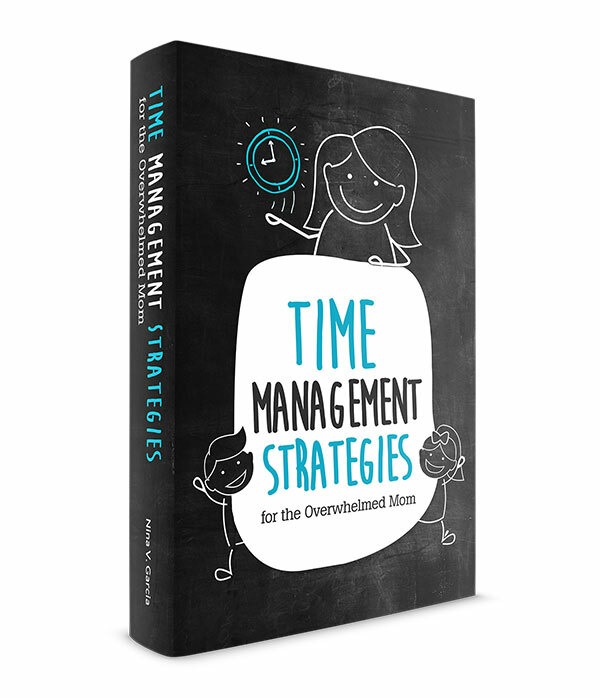 In step 3 above, I mentioned writing things you can do now or within a reasonable time. Rather than worrying yourself without any action to show for it, be proactive. One of the easiest ways to be proactive with your finances is track every cent you earn and spend. If you spent $2 on parking today, write it down. If you earned $13.49 from an eBay sale, write it down. This discipline builds good financial habits. With an overview of your income and expenses, you can see where the problems lie. Few good things happen when we complain and don’t do anything about it. You’ll hear people unhappy with their jobs. Or wish they could earn just a little bit more. Or envy those who make more money than them. I say all this because I’ve felt them all, a dissonance with my current situation, and I still feel it. It’ll never be perfect. But rather than wallow in pity, make a list of anything you can do to reduce stress. Just last night, I wrote an action plan because I was starting to feel sorry for myself. Being proactive gives you a concrete plan to cross off your list and make changes. Think long-term about your financial picture. Where do you imagine yourself a year or more down the line? Yes, I’m all about little actions that snowball into big results. Things like being frugal, saving or selling things here and there. But sometimes even that’s not enough. What can you do that’s sustainable? Trying to earn small wins or saving in small ways isn’t sustainable. Your morale will sink, there’s only so much income you can save, or household items to sell. Instead, be open to big changes. Start with easy big changes, like eliminating monthly costs that don’t add value to your life. These might be cable utilities or even the insurance payments you make on a car you hardly drive. Then branch out and think bigger. Can you downsize, like living in a smaller home or lower cost-of-living area? Can your family live off of one car? Maybe your kids attend a less expensive preschool a more affordable daycare. Next, think about your earning possibilities. Are there ways you can earn extra income? Maybe this is means getting a new job that pays more. Or earning income without limits on your time or space, such as passive income? Maybe you even have a time line for when your money problems will end. If that’s the case, can you do something on the side to earn a little bit more during that time frame? At the same time, we forget how little our kids need. Love, above all things. Then we need to meet their health and safety needs. And after that, we provide opportunities to learn, play and expand their minds. But that fancy $39.99 toy that promises to enrich your child? Playing at the park or in nature can do just as much, if not more. I don’t give my kids too many toys that do the learning for them, like like gadgets or toys with predetermined instructions. I want my kids to be problem solvers, including how to solve their own boredom. Find free or low-cost alternatives for entertainment. Frequent your local library where you can borrow books, movies and CDs. They also host story time, crafts or magic shows. Go to your local park or playground. Hike through mountains and explore nature. Or visit inexpensive or free children’s museums. Read more about why boredom is good for your kids. Money is something I’ll always have on my mind, no matter how much or how little I earn. It’s income, after all, and the way we provide for our families. Still, desperate times force you to make decisions you may be too scared or complacent to choose. Maybe this means facing your worries head on. Or being proactive and developing a plan instead letting the stress consume you. Sometimes it means big changes in your life that can make a longer-lasting impact. And realizing how little of our money our kids need. I still spend way more now with three kids than I ever did without them. I’ve had my challenges, especially with having twins and their double and simultaneous costs. But I try not to worry. I’ve found that these challenging times can be a blessing in disguise, stresses and everything. 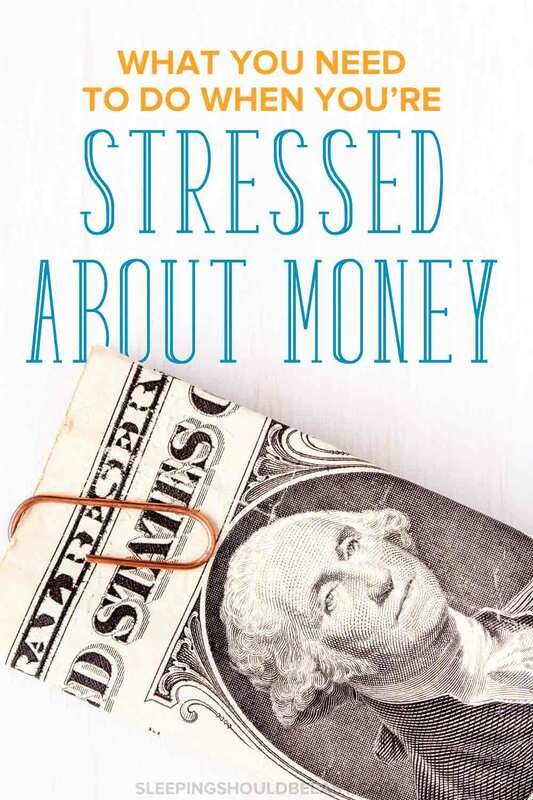 Tell me in the comments: Have you felt stressed about money? What do you do when you’re stressed about financial problems? Oh man, I have spent YEARS being stressed about money. It affects me differently than Cassidy. He gets it too, but can turn it off. I can’t. I’m not stressed about money right now, only because we’re both doing ok in that department for the first time.. but.. I am definitely open to the big changes! My favorite tip. I’m so glad to hear you’re in a much better place now, Tamara. I’m like you too—I can’t just turn it off and need a lot of self-talk to not stress myself out! One day I get too stressed with money, the next day I don’t, then the next I get stressed again, then the next day I don’t. I guess it’s not consistent for me too. Writing on my journal is a big help like you said. I’ve been doing it since grade school for practically all my worries and it’s effective in helping me breathe. One thing I always remind myself now is that worrying and complaining don’t do anything, and that I have to think of solutions. Also, I’ve been tracking my spending on and off for so many times now. I stopped again recently because I got lazy of listing everything down. LOL. Maybe I’ll try again next payday! Haha I actually get a kick out of tracking my expenses! I have an app which helps a LOT. I used to track it on my laptop which wasn’t even connected to the internet. Now that I have it on my phone, it’s so much easier. I have always worried about money and mainly because I spend more money than I have to. then, I of course regret it. These are great tips and I love the one about writing down my worries and have an action plan on how I am going to start making changes. Also, eliminating things that I don’t need is a great idea, I don’t have cable (only internet, hi Netflix) or a house phone, which has helped my hubby and I to save some extra cash. I totally know what you mean, Ros. Just this month, I had extra cash, so I thought I should stockpile on a few things since I have the money to. But of course I’m already regretting it! And yes, taking a look at what is truly a need and a want is crucial so we can make better decisions on what to keep or not. I totally understand this. Even though we took steps for years to ensure that we don’t really have to worry too much about money right now, I still do worry about it. I love the idea of keeping a journal that shows how things ended up okay, and the recommendation to take acitonable steps. Isn’t it funny that you can prepare as much as you can but still feel scared about it? And yes, it can take years to make that leap or to prepare for the kind of lifestyle you want to have. It’s so easy to get worked up about money, especially when there’s not a lot to spare. I love your idea to write out the worst-case scenario, because I can make a huge deal out of the smallest money problem. Journaling has been very helpful for me in my situation. Oh totally Charlee! It’s really helpful to put things in perspective, especially when we write it down and see it on paper.